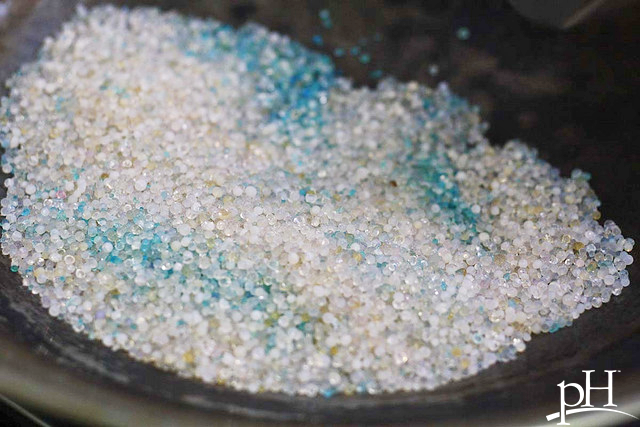 When you say “silica,” most people either think of glass, sand on the beach, “Silicon Valley” or pottery. But did you know that silica, which is present in your body in greater quantities than other minerals such as iron, also plays an important role in keeping you healthy? It’s also been dubbed the “beauty mineral” for its benefits to your hair, skin and nails. Read on to find out why silica may be one of the unsung heroes of your body’s nutritional arsenal. What are the benefits of silica? May help prevent certain health issues: This important mineral may also help prevent atherosclerosis, insomnia, skin disorders and tuberculosis. It plays a key role, along with vitamin D and calcium, in making your bones strong and preventing osteoporosis. Supports beauty from the inside out: If you’re looking to cultivate that natural beauty from the inside out, silica just might be your new BFF. It helps strengthen bones, joints, muscles and connective tissue and supports healthy, strong nails, hair, teeth and skin. Provides anti-aging benefits: Silica has been associated with healthy collagen levels. Collagen supports skin elasticity and wound healing, so if you want to maintain a more youthful appearance, you’ll want to talk to your doctor about using a silica supplement as your silica levels begin to decrease as you age. Fights brain toxins: Research indicates that silica reduces aluminum build-up in the brain, which researchers have potentially linked to Alzheimer’s disease. So the elderly and others at risk for this disease may benefit from silica supplementation, especially since silica levels in your body tend to decrease with age. Studies also show that, over time, silica disappears from the aorta, leading to weakening of its connective tissue, which, in turn, can increase the risk of cardiac disease. So this versatile mineral may also be beneficial for heart health. Where can you find silica? The most popular nutritional sources of silica are apples, cereals, raw cabbage, peanuts, carrots, onions, cucumber, pumpkin, honey, fish, unrefined grains, oats, almonds and oranges. Higher quantities are found in hard water and comparatively less in soft water. Silica can also be found in a variety of supplements including Cell Food Essential Silica Formula. If you are not sure you are have enough silica in your diet or have healthy levels of this important mineral in your body, check with your health care provider.